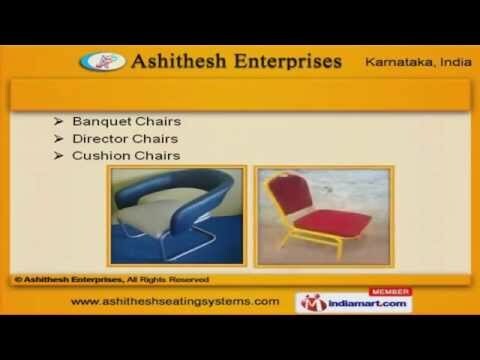 Welcome to Ashithesh Enterprises Manufacturer & Exporter of Customized Furniture We are an ISO 9000:2001 certified company, Incepted in 2001, at Bengaluru. Our products are applicable in Residents, Hotels, Offices & Schools sectors. Rigorous quality products, Safe packaging & Pocket friendly rates make us the first choice of our clients. We offer a vast range of Dining Chairs, Office, Home & Dining Furniture. Sofa Set, Wooden Cabinet & Tables offered by us are well known for their durability. Along with that we offer Conference, School and College Furnitureâs that are best in the industry amongst others. We offer Library, Cafe & Hospital Furnitureâs that are widely acclaimed in the market. Our Steel Almirah, Designer & Revolving Chairs are a class apart. We offer Banquet, Director & Cushion Chairs that are best in the industry amongs others.